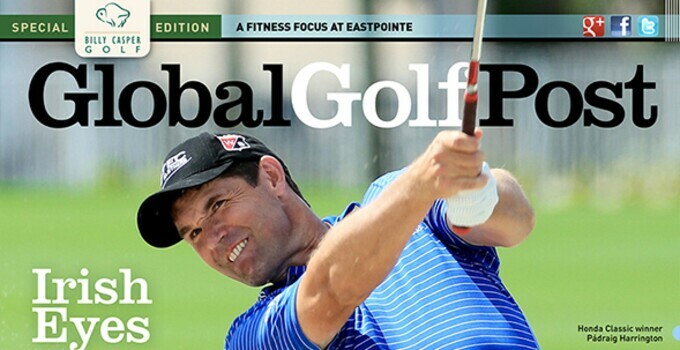 Inside this week’s issue of Global Golf Post, Padraig Harrington made a return trip to victory lane at last week’s Honda Classic, his first “W” in seven years. The Irishmen won a playoff against youngster Daniel Berger who stormed to a final-round 64 after heavy rains pushed play an extra day. Also inside, Steve Eubanks tells the Tiger-Butch reunion crowd to keep dreamin’, a foot race to the finish at the Honda LPGA Thailand and back-to-back wins for World No. 1 Lydia Ko. In addition, BCG takes an in-depth look at Eastpointe Country Club in Palm Beach Gardens, FL. Just minutes from PGA National, the property is redefining what it means to belong to a country club with a championship course, spirited fitness and tennis program and delicious dining options.